Get a collection of FREE printable first day of school signs, tags, and lunch box notes. Two patterns – stripes in blue and tribal in pink! Are your littles ready to go back to school? My niece is about to enter school for the first time, and I have tons of friends with kids starting just about every grade. With so many people in my life celebrating back to school, I decided to offer a free packet of first day of school signs, lunch box notes, and tags for you to use. And I'm going to show you how to customize them using Fiskars products! Fiskars is probably best known for their scissors, but they have a lot of other products as well. I absolutely LOVE their punches and have an entire bin of them! Name a cool Fiskars punch and I'm sure I have in my collection. And when it comes to Fiskars cutting tools, I'm covered there too. Kids Scissors, 5″ – ages 4+. Kids will love the larger finger loops for comfort. These are designed to cut all classroom materials and also have blunt tips (though they are a little more pointed). Big Kids Scissors, 6″ – ages 8+. These longer blades are perfect for more advanced projects, and the larger finger loops are perfect for growing hands. Student Scissors, 7″ – ages 12+. Full-sized blades with pointed tips. Finger loops are comfortable and offer a natural fit. So your kids can start using Fiskars in preschool and continue for the rest of their lives just as I did! Now here's how I used my Fiskars products to customize these first day of school signs, notes, and tags. Grab the stripes printable HERE and the pink tribal printable HERE. You're going to want to print on thicker paper or cardstock. For the larger grade signs, you'll need scissors, the Fiskars punch of your choice, extra scrapbook paper, and glue dots. Have your child cut out the sign themselves with scissors. Grab your Fiskars punch – I love the star. This is one of my favorites for all sorts of projects, not just kid related! Place your scrapbook paper inside the punch. Scraps are perfect for this. Press down firmly. Open the little trap door on the back, which is a feature I love, and pull out your paper shape! 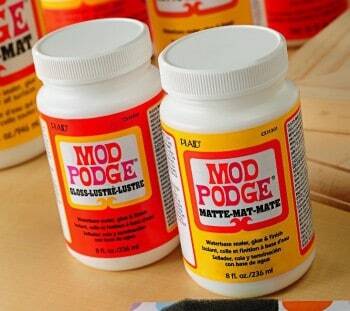 Attach to your sign using glue dots. It's so fun to let your child customize their own signs! Another fun option for customization is the backpack tags! Kids will love this one. You're going to go crazy – I promise! While you are going crazy punching hearts, let your child cut out the ID tags with their Fiskars scissors. Then add embellishments to the tag – and buttons – with glue dots! To answer your question, yes, the glue dots will hold the buttons. Having said that, if you want a bit of a tougher tag, glue the buttons down with craft glue! 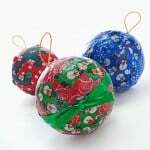 Then use baker's twine to tie the tag to your child's backpack! Are you ready to download your first day of school signs, notes, and tags and then customize with Fiskars? Just click on the image of the set below to download! Each set comes with four pages to print. Enjoy! Disclosure: This post sponsored by Fiskars, who provided compensation for my honest review. All opinions are 100% mine. 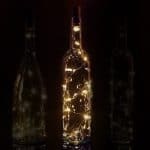 Wine Bottle Lights: Where to Get the Best & Cheapest! Oh my! These are super cute!! And I NEED that heart punch! I just love this. Especially using the kid friendly scissors from Fiskars. I just bought some Fiskars scissors for school the other day. I’ve been buying them for years – they are truly the best! Such cute signs! This reminds me that I need to get some made for my kids. I knew about toddler scissors and kid scissors but I had no idea they made big kid scissors and student scissors! Curious which we have at home! I have to go check now. Your back to school signs are adorable. Super cute printables and we love our Fiskars scissors!